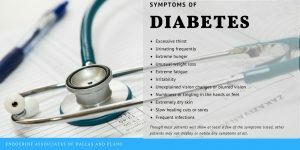 Diabetes is a disease which affects the pancreas gland by causing it to be unable to produce or ineffectively produce the hormone insulin, which is needed by the body to process glucose. When we eat food, the body turns it into glucose (simple sugar) that we use for energy. The insulin produced by the pancreas helps the glucose move through the bloodstream and into the cells of the body to be absorbed. When the body cannot produce enough insulin or is unable to process it well, sugar builds up in the blood resulting in diabetes. A normal morning blood sugar is <100 mg/dl. Type 1 Diabetes (T1D): T1D is also called juvenile onset diabetes or insulin-dependent diabetes mellitus (IDDM): Commonly diagnosed in children, type 1 diabetes occurs when the cells that produce insulin in the pancreas are destroyed, therefore no insulin is produced. Type 2 Diabetes: Type 2 Diabetes is also called adult-onset diabetes or non-insulin-dependent diabetes mellitus (NIDDM): In this most common type of diabetes, cells in the pancreas either produce too little insulin or the body cannot process the insulin properly (insulin resistance). Gestational Diabetes: Blood glucose levels can rise to diabetic levels during pregnancy requiring treatment. After delivery, blood glucose levels will typically stabilize. Patients with a history of gestational diabetes are at risk for developing diabetes in the future. After delivery, the blood sugars in these patients should be followed. Why See an Endocrinologist for Diabetes? Endocrinologists specialize in diagnosing, treating, and managing all manners of disorders involving the body’s glands and their production of hormones. 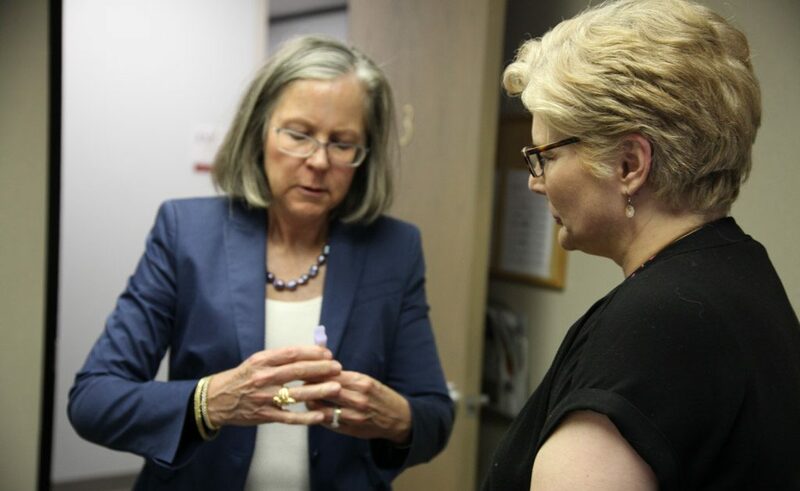 The endocrinologists at Endocrine Associates of Dallas (EAD) & Plano have extensively studied hormonal conditions, such as diabetes, in order to provide the best, most up-to-date treatments available. Because of this advanced training, our endocrinologists are keenly aware of any new methods of diabetic treatment, as well as innovative options if conventional treatment is not producing satisfactory results. Endocrinologists are experienced in treating diabetic patients who also have genetic disorders, such as MODY (maturity onset diabetes in the young) or cystic fibrosis, that can affect their treatment. 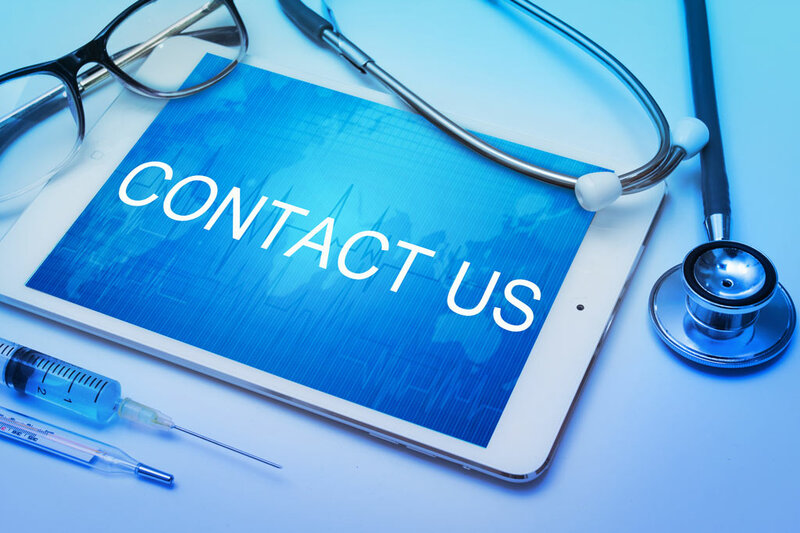 Endocrinologists work closely with your primary care and other doctors involved in your treatment to ensure that you receive the best diabetic care possible. Patients may experience nausea, vomiting, and abdominal pain if the body begins to break down fat to create its own fuel in a process known as diabetic ketoacidosis. Toxic chemicals called ketones produced during this process can be fatal if left untreated. If you are experiencing symptoms of diabetic ketoacidosis, seek emergency care as soon as possible. Rapid-acting insulin (Apidra®, Fiasp®, Humalog®, Novolog®): Often administered prior to a meal to counteract glucose spikes from ingested food. Rapid-acting insulin works within 5 minutes of being injected and lasts approximately 2-4 hours. Intermediate-acting insulin (NPH (N)): Typically used before bedtime to control glucose levels the next morning, intermediate-acting insulin takes about 2-4 hours to enter the bloodstream and lasts approximately 12-18 hours. Long-acting insulin (Basaglar®, Lantus®, Levemir®, Toujeo®, Tresiba®): Useful for maintaining blood glucose levels for 24 hours, long-acting insulin takes approximately 6-10 hours to take effect. Inhaled insulin (Afrezza®): Short acting insulin used with meals or correction. Given by inhalation. Inhaled insulin works more quickly than other rapid-acting insulins. Peak effect is 35-55 minutes and duration of action is 90-270 minutes depending on the dose. What are the Methods of Insulin Delivery for Diabetic Treatment? Subcutaneous Injection: The most common form of administering insulin is through a subcutaneous injection, usually in an area made up of fatty tissue where it is quickly absorbed, such as the thigh, back of the upper arm, stomach, hip and buttocks. It is best to administer your insulin in different sites to prevent scar tissue from building up. Insulin Pen: Pre-filled and replaceable cartridge pens are available which provide convenience and accurate dosing, however, you can’t mix rapid acting insulin with longer acting insulins. Pump Therapy: Devices are worn 24 hours a day which deliver rapid-acting insulin through a catheter previously positioned under the skin. These pumps deliver basal, bolus and correction insulin based on settings and the input of blood sugar levels. With appropriate carbohydrate counting, pump therapy seeks to mimic the body’s natural insulin production and response to food. New pump systems will combine the benefits of continuous glucose monitoring (CGM) to pump settings control blood sugars. The latest technologies provide for a closed loop system that can automatically adjust insulin delivery to keep a blood sugar in the appropriate range. Diabetic patients need to monitor their blood glucose levels throughout the day. In this way, you will become more aware how foods, exercise, stress, insulin and other factors affect your blood sugar and be better able to regulate it effectively. Normal morning blood sugar is <100 mg/dl. A blood sugar meter measures your blood glucose level by testing a tiny drop of blood. Blood sugar meters are small enough to carry with you (about the size of a pocket calculator) and are available at most drug stores. Your endocrinologist can help you select the best meter for your lifestyle. Continuous glucose monitoring (CGM) is achieved by placing tiny sensors under the skin which will measure the glucose levels within the fluid around the fat cells and transmit the value to a monitor. Continuous glucose monitoring devices decrease the need for pricking the finger. Periodic calibrations are needed for some models and clinical circumstances. Many CGM devices are equipped with an alarm to alert the patient or caretaker of blood sugar dips or spikes. The number of treatment options for Type 2 Diabetes has exploded over the past decade. Your doctor will help you determine which treatment is best for you. Diabetes is a multifactorial disease and often, more than one medication is needed. Needing more than 1 medication is not a sign of personal failure. These medications can be given by mouth, injection or inhalation. Medications are meant to normalize your blood sugar without causing any side effects (low blood sugars, nausea or acidosis). A normal Hemoglobin A1c (average blood sugar over 3 months) is 6-7% depending on age and types of medication used. Our physicians recognize the effects of lifestyle on diabetic care. Our practice offers Certified Diabetes Educators (CDE) to provide Diabetes Self Management Education (DSME) Program. Endocrine Associates of Dallas has been certified by the American Diabetes Association since 1981. With proper management, such as healthy eating, physical activity and appropriate diabetic treatments (insulin, injectable or oral medications), patients with diabetes can avoid complications in the future. Being aware of any changes in your body and regularly visiting your health care provider will help you manage and control your diabetes. 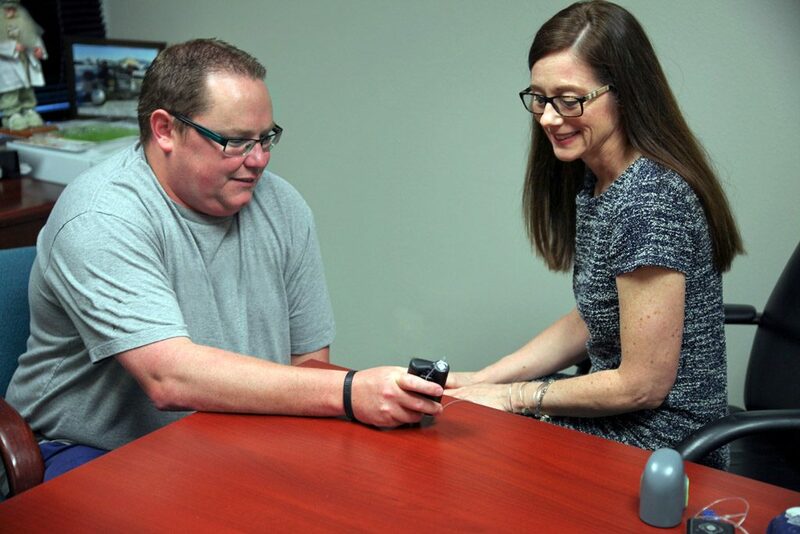 If you are diabetic and would like help with your diabetic treatment or managing your diabetes in Dallas, TX or Plano, TX, ask your doctor for a referral to the specialists at Endocrine Associates of Dallas (EAD) and Plano. Our physicians share a common goal of helping our patients avoid all complications of diabetes. If you would like to schedule an appointment, please have your physician referral available when you call our Dallas office at 214-363-5535 or Plano office at 972-867-4658.